Scan the floor plans to Basil's flat. Read Dr. Dawson's notes on the limits of Basil of Baker Street. 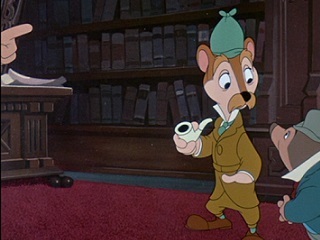 Examine some errors in The Great Mouse Detective. Keep in touch with Basil's own Facebook page. Enjoy these comics featuring Basil and company. Study some drawing tips for the artistically inclined. 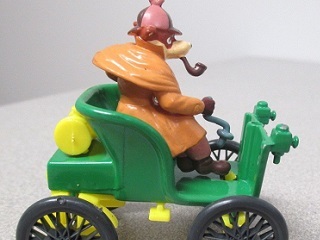 Browse collectibles from The Great Mouse Detective. Learn your ABCs with a little help from GMD. 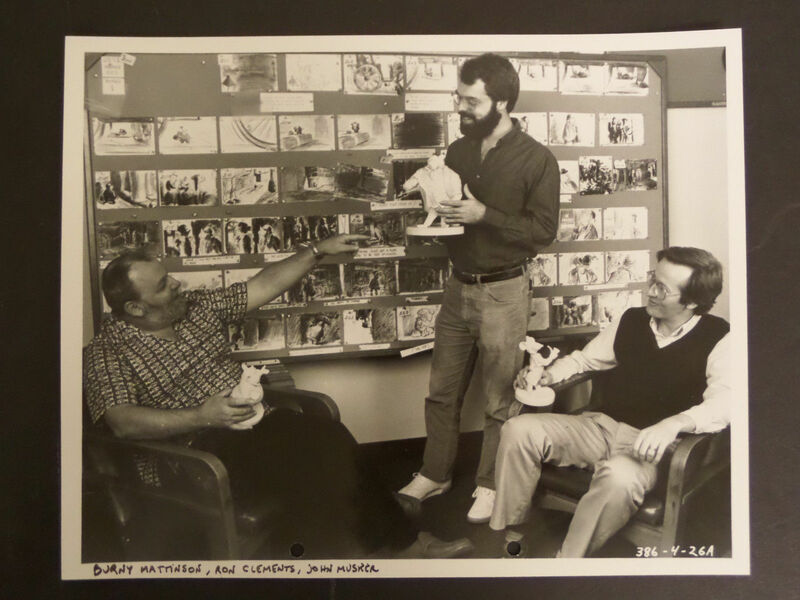 Revisit the crew who brought The Great Mouse Detective to the screen. Admire this unused ad campaign artwork by Michael Hobson. Revel in unusual sightings of the GMD characters. Check your collection against this pin list, formerly on PinPics. Observe a section of the original story board used in the making of the film. 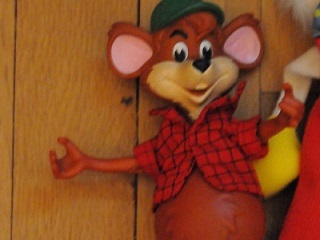 Identify this collectible listed on eBay. 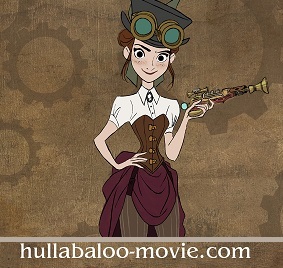 View an animation video of Basil set to the voice of Basil Rathbone. Visit Sherlock Holmes, Basil's Mentor. 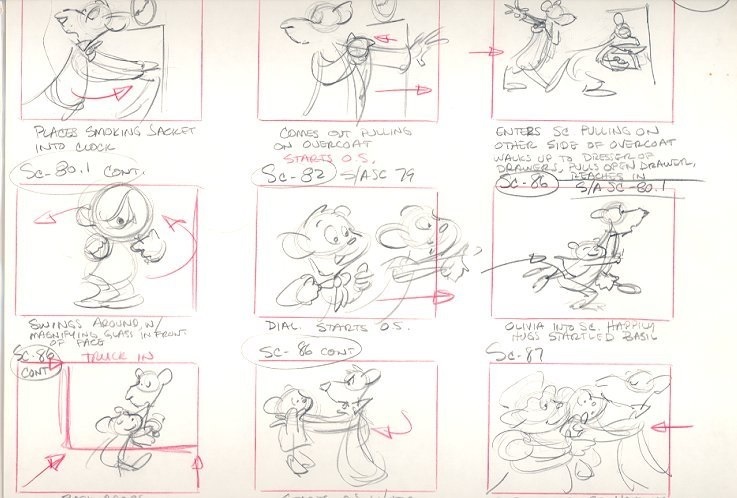 On July 2, 2013, Disney's D23 website featured a one-day tribute to The Great Mouse Detective (and rightly so), which we have preserved for posterity. Mouse Tales. The lives of Basil & other mice. Mouse History 101. Basil is mentioned here, as well. The Not Your Average Disney Trivia Quiz. 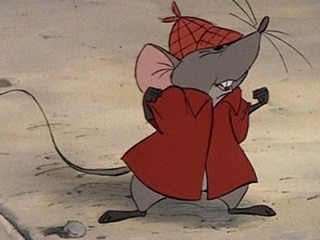 Some questions relate to The Great Mouse Detective. Henchmen, Minions, & Thugs, such as Fidget. Disney Glitches. 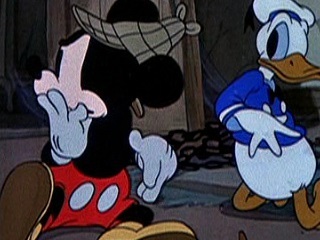 More than just Great Mouse Detective glitches here. House of Mouse. Not that mouse. Kuzco, Disney's Bad Boy Hero. Nothing about Basil, but Kuzco's cool, too. The Tarzan Equation. Ditto for Tarzan. Donald Duck's Family Tree. No mice here, only ducks. Disney Roleplaying Site. Roleplay with Great Mouse Detective characters. Disneyana For Sale. Any GMD items? You never know.